The Environmental Protection Agency (EPA) has reported that indoor air pollution levels can be up to 100 times higher than the air outdoors, even in large cities like Houston. The American College of Allergists says that 50% of illnesses are caused or aggravated by polluted indoor air. The American Medical Association stated that 1/3 of our national health bill is directly attributed to indoor air pollution. The average person spends over 90% if their time indoors! The Aprilaire air purifier is the best choice for homeowners who suffer from allergies. 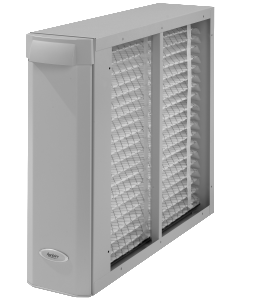 Equipped with state-of-the-art filter media, the Aprilaire filter will keep the air throughout your home exceptionally clean. 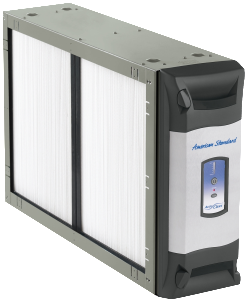 The AccuClean whole-home air filtration system is one of the most effective air cleaners in the nation. The AccuClean removes up to 99.98% of allergens from the filtered air, and the best part is you will never need to replace the filters.